Activating your PC copy of Metro: Last Light will reward you with an ebook version of the franchise-inspiring story. Everybody likes extras with their game purchases, but in many cases that includes odds and ends you wouldn't have purchased separately anyway. It's always great to find something substantial you can sink your teeth into, and on that score, Metro: Last Light is on the right track. Gamers who activate Light Light's PC version on Steam will instantly unlock the full ebook of Dmitry Glukhovsky's Metro 2033, the novel that inspired its post-apocalyptic universe. 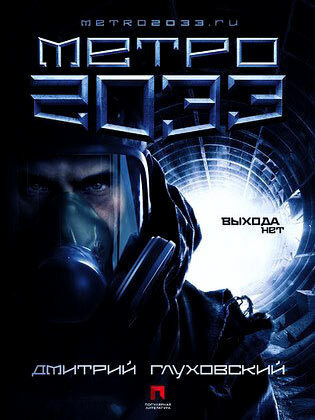 Glukhovsky's original Metro 2033 was a huge hit, finding two million readers online and selling half a million physical copies in Russia alone. The story inspired other writers to create an entire extended universe around the concept, and Glukhovsky eventually published an official sequel in 2009. While the prose and videogame sequels aren't related, Glukhovsky still enjoyed the FPS version enough to help craft Last Light's story. I wasn't even aware that Metro 2033 started out as a book, but now that I am, I'd love to see how the two versions compare. I also like the idea that anyone starting the series with Last Light has the original story on hand to help them catch up immediately. It may take a little longer than a Wiki plot synopsis, but given how patient and supportive series fans have been, I'm guessing nobody will mind much.